It’s the only FREE Indigenous business directory in the country! 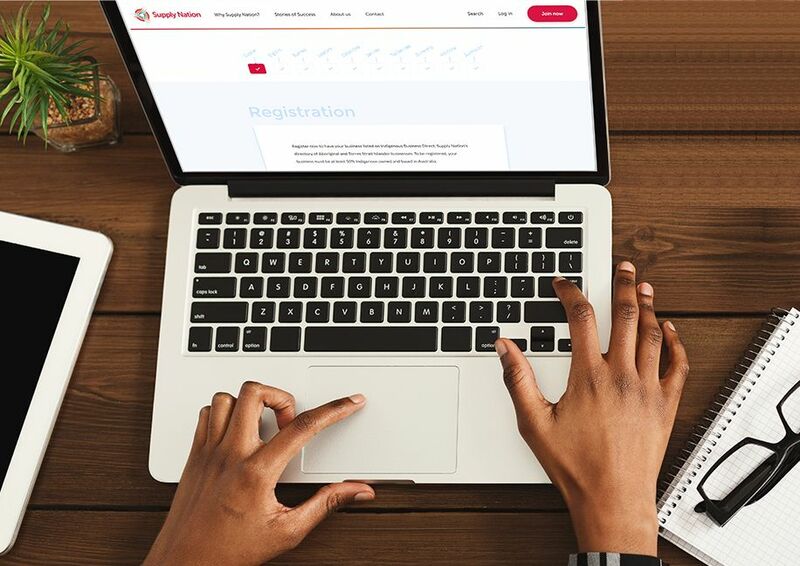 Registering your business with Supply Nation (to go onto Australia’s largest national directory, Indigenous Business Direct) is the first step to connecting with motivated buyers from some of Australia’s largest organisations. Completing the online registration form will only take you about 15 minutes (as long as you have all the required information) and then Supply Nation’s world leading 5-step verification process should be complete within four days. It’s completely free and if you have any questions at any stage, you can call our friendly team on 1300 055 298. Supply Nation will then review your information, and will contact you if there are any queries. Typically, your listing will be published online within four working days! What’s the difference between Registered and Certified? Supply Nation’s inclusive approach ensures that Indigenous business ownership is accessible to as many Aboriginal and Torres Strait Islander people as possible. Is not a franchise or registered charity. Access to the Supply Nation Registered Supplier logo for use on marketing materials, websites, email auto-signatures, tender documentation etc. Access to the exclusive Supply Nation Certified Supplier logo for use on marketing materials, websites, email auto-signatures, tender documentation etc. Supply Nation runs events all year to provide businesses on Indigenous Business Direct with learning and networking opportunities. Throughout the year, Supply Nation and our partners hold trade fairs, networking events and opportunity briefings to which our members and suppliers are invited. We typically include these invitations within our monthly newsletter communications. As an Aboriginal and/or Torres Strait Islander business – registration with Supply Nation on the largest national directory of Indigenous businesses is a critical step towards connecting with the procurement teams of Australia’s largest organisations.